Lima Restaurants: Forget theatre, eat at Central Restaurante for the best show ever. Central Restaurante. This extraordinary restaurant in Peru is more entertaining than a night out at the theatre. No wonder Central chef and founder Virgilio Martinez is considered a rock star in Peru and is being lauded globally. A night out here eating the incredible 17 course menu, is one of the best gastronomic performances you will see anywhere in the world. Absolutely brilliant on every level. Central Restaurante in Peru has incredible food made with organic, local ingredients. 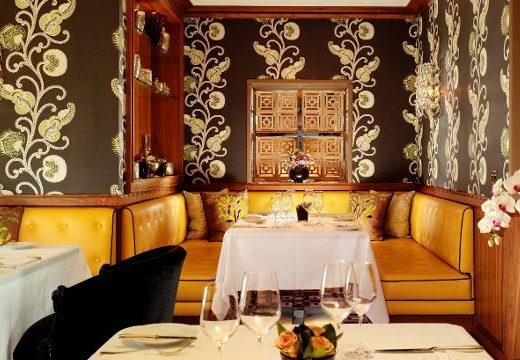 Central Resaturante in Lima Peru has been in the top 5 restaurants in the world since around 2013, four years after it opened in 2009. This year it sits at number 4. From a 17 course Mater menu which includes organic, locally sourced ingredients from 20 metres below sea level to 4,100 above, and accompanying wines, this is truly a journey worth taking. 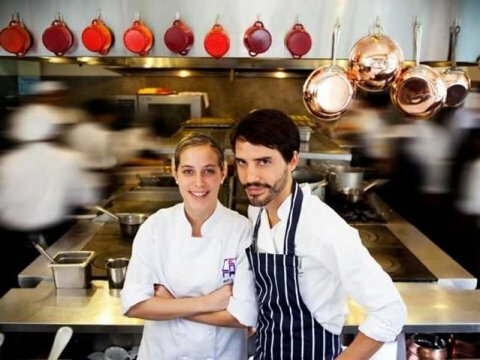 The man behind it all, Virgilio Martinez is passionate about food, Peru and his restaurant. His beautiful wife Pia Leon is also in the kitchen. Martinez’s view of produce is a vertical one, from low to high as opposed to horizontally in say fields. So each course’s ingredients are sourced from a different altitude. Ingredients include anything from wild oca to Andrean yams, sea urchin, the humble potato, and even sea snails. Central Resaturante in Lima in action. Each delicately crafted course looks more like an award winning work of art, with dishes presented in everything from wooden boxes to stones, triangles and on all manner of accessories, all to create an effect, a story, a little piece of Peruvian history or produce for guests to understand for each and every course. Bread is served at Central Restaurante. The taste sensations are simply amazing. You are taken from hot to cold, sour to sweet, it’s impossible to put the taste sensations of 17 courses into a sentence. There’s smokey, there’s clean, there’s wet, there’s dry. “There are no magic powders in our food, no gelatine, no thickeners or flour. They are not healthy. Our food is fresh and accessible. ” Virgilio explains. “We want you to wake up the next morning and want to have breakfast.” In other words, the food isn’t ridiculously filling. There are two stars here – the food and the staff. 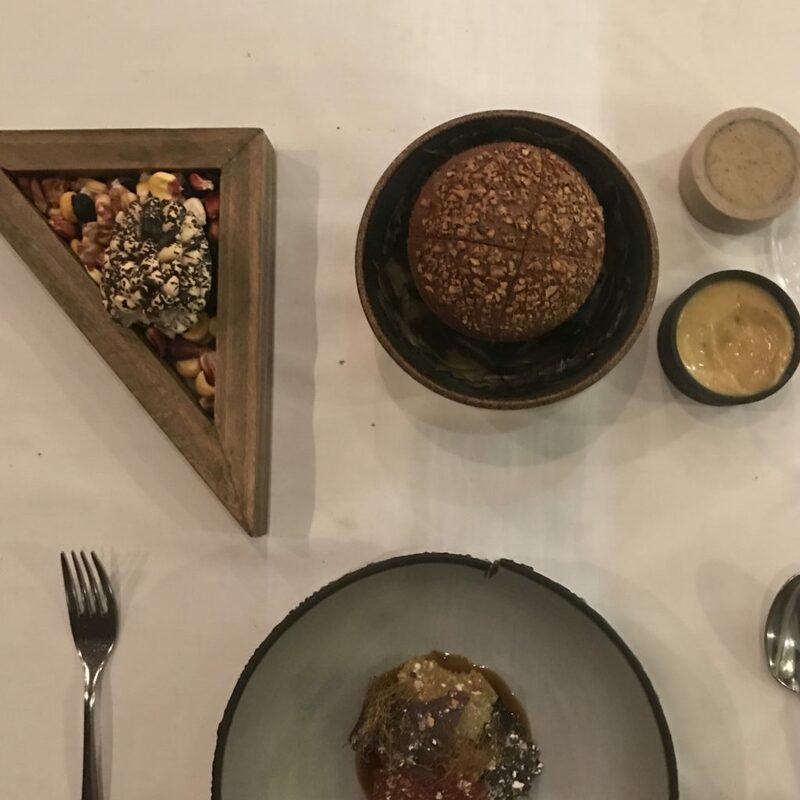 The concept is Mater, where each dish is connected with the earth and uses ingredients from the Peruvian earth sourced by Virgilio himself. Like a great theatre performance, every dish of the 17 course menu has a story, carefully, passionately explained by the staff, as does each wine. And the staff here have more knowledge of food and wine globally than anyone I have found anywhere, even though English is their second language. The dishes at Central Restaurante are as spectacular as they are flavoursome. They entertain with their passion and knowledge, and after each stellar performance, you are left with the dish to taste, and all are incredible. A take on the humble potato at Central Restaurante. All of that changed when he returned to Lima in 2009. “The priority here for me (at Central) is to create a true experience. This is all part of our creative process. We are not snobby here, this is the real thing. 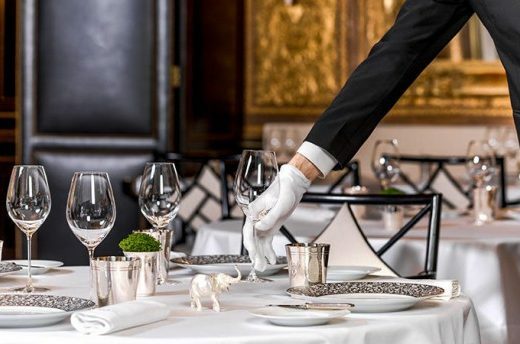 Central is one of the most lauded restaurants in the world, people travel from far and wide to eat here – I am definitely behind the times having taken some years to get here. 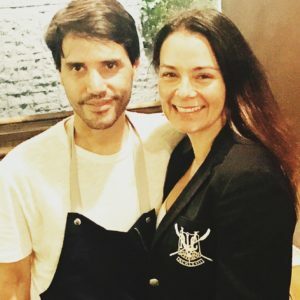 Central chef and founder Virgilio Martinez (with Renae) is considered a rock star in Peru. But god, it was worth the wait. This restaurant alone has put Lima on the map as a global destination for food. When you walk up to the place, it looks more like one of those local restaurants in see in suburban Australia or America where a former house has been converted into a restaurant by a passionate chef. The facade of Central is much like a little suburban house. But this place is so much more than that once you’re inside. It was designed by Virgilio’s mum who is an architect. The tables are designed around the kitchen, which has huge floor to ceiling windows where you can watch everything and everyone in action. I also love that Central bottles it own filtered, ozonated and purified water on site. Many ingredients come from the restaurant’s own garden. Renae with the team at Central Restaurante Peru last month. One of life’s joys is food, but eating here is a pleasure and a thrill in every sense, and on every level.